Deerwood Country Club community in Jacksonville, Florida. 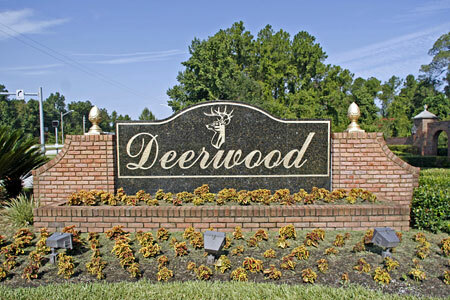 Located in the southeast Jacksonville metro area off Interstate 95, Deerwood is Jacksonville's first gated country club community consists of approximately 900 residences, ranging from 5-acre estate homes to garden homes and townhouses. Deerwood has thousands of mature trees lining its country style lanes, numerous lakes and ponds, and strategically placed parks and traffic islands all meticulously landscaped. 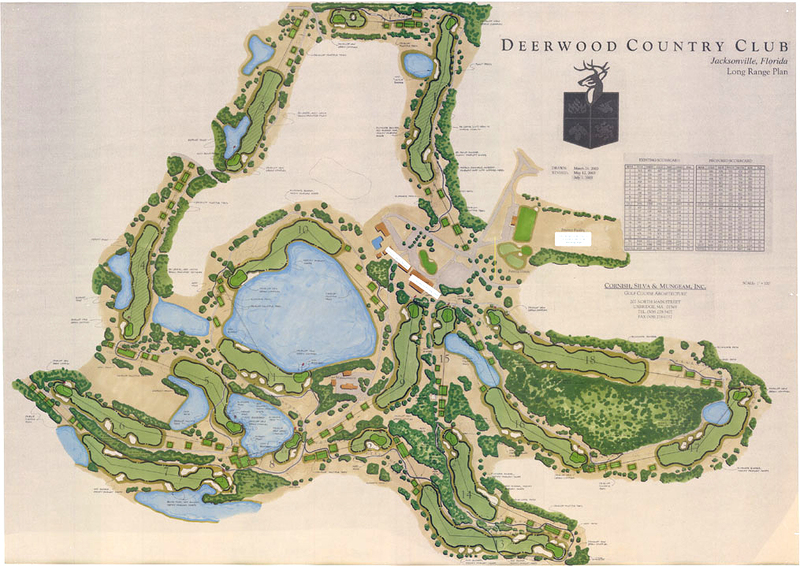 In addition to a 3-acre playground and park open to all residents from dawn to dusk, Deerwood is home of the Deerwood Country Club, Inc. which is also member owned and features an 18 hole golf course, fitness center, swimming pool, and tennis facility. See site map. Deerwood's proximity to downtown and the beaches makes it minutes from everywhere you want to be. Now with the addition of Tinseltown, fine dining, entertainment, and the area's finest shopping, Deerwood has become the most sought after place to live by Jacksonville's active professionals. The community features a country club lifestyle, plenty of fun in the sun and an excellent quality of life. The area offers residents friendly, family oriented communities with a wide array of homes, a good school system, a low crime rate and easy access to all the amenities of Jacksonville. While residents of Deerwood enjoy the quiet and serenity of their communities, Jacksonville proper is just minutes away, offering all the amenities of a major metropolitan area. The "First Coast" features miles of unspoiled beaches; ecological and nature based excursions; historical sites and architecture; sporting, gaming and cultural activities; unique shopping and dining; and numerous festivals and events.